Naturalis-L is compatible with beneficial insects and is non-toxic to bees. Naturalis-L is a bioinsecticide based on the entomopathogenic fungus Beauveria bassiana (strain ATCC 74040). Compared to many other strains of Beauveria, Naturalis-L infects a very wide range of economically damaging pests such as whitefly, mites, thrips and some groups of flies. In addition, the vegetable oil dispersion (OD) formulation means that Naturalis-L has a long shelf-life, is easy to use and gives excellent efficacy in real world conditions. The mode of action of Naturalis-L makes it a perfect tool for the control of pests and mites on vegetables, fruit crops and ornamentals. Naturalis-L can be successfully used in both organic production and integrated pest management programmes, especially if a reduction in residue levels and number of traditional chemical sprays is desirable. Naturalis-L does not leave any chemical residues and there is no harvest interval, so it can be applied through the entire life of the crop. As both an insecticide and miticide, Naturalis-L fits perfectly into pest management programmes aimed at minimising the risk of resistance to conventional insecticides. Furthermore, Naturalis-L is compatible with beneficial insects and it is non-toxic to bees and pollinators. Naturalis-L has activity against glasshouse whitefly (Trialeurodes vaporariorum), tobacco whitefly (Bemisia tabaci) and honeysuckle whitefly (Aleyrodes lonicerae). Naturalis-L can infect whitefly at all developmental stages. In cases of high infestation it is best to start your spray programme with an initial application of a knock-down insecticide followed by two or three applications of Naturalis-L. In case of low presence of the pest, applications can be made at longer intervals. Thanks to its selectivity, Naturalis-L can be applied in combination with natural enemies; helping to restore equilibrium between pest and beneficial populations. Activity has been shown against two-spotted spider mite (Tetranychus urticae), carmine mite (Tetranychus cinnabarinus) and tomato russet mite (Aculops lycopersici). Trials have shown good control of these pest species with good nymph and ovicidal activity (egg stage), but less effect on adults. To achieve best results, a management programme may include a chemical insecticide against adults on the first application. All developmental mobile stages of thrips are susceptible to the entomopathogenic fungus within Naturalis-L. It is essential to ensure that foliage is covered completely when spraying including the underside of leaves. High levels of control can be easily achieved on crops where thrips live mainly on leaves. Where thrips are concealed inside flowers, applications are more difficult and control levels will be lower. Starting treatment early and ensuring good coverage is crucial. Recent studies on strawberries have shown that a strategy composed of a first application of a knock-down insecticide at first flowering, followed by 2-3 applications of Naturalis-L during the flowering period can be as effective as a purely chemical strategy. Beauveria bassiana is also reported to have activity against other pest species such as capsid (Lygocoris), aphids, caterpillar, leafhopper, shore fly, fruit flies and sciarid flies, but experience is limited and control cannot be guaranteed. Naturalis-L contains a naturally occurring soil born fungus. This fungal pathogen of insects begins working once it comes into contact with a target pest. The fungus activates and grows directly through the insect’s cuticle and subsequently multiplies within the body of the insect, which causes death. Insect activity is disrupted soon after infection although death takes typically 3-5 days. Mobile pests can pick up the infective spores from the leaf surface. Dead insects tend to fall to the floor and thus infections from sporulation tend not to be self-sustaining, although localised infections (epizootics) can occur. Naturalis-L can infect a wide range of target pests and in many cases all their developmental stages (eggs, immature stages, and adults). In some cases life stages which are protected from coming into contact with Naturalis-L, such as the eggs of thrips which are laid into slits cut into plant leaves, will not be controlled. Additionally, against certain pests, like some types of flies, Naturalis-L has demonstrated repellent properties when applied in preventive treatments. A great deal of studies have been carried out to analyse the strain of Beauveria bassiana contained within Naturalis-L under different environmental conditions. These studies show that the range of temperatures where the fungus is active Is between 10°C and 37°C and the optimum temperature range is between 20°C and 27°C. At high temperatures insect life cycles get faster and so timing of application becomes more critical. The fungal conidia within Naturalis-L gain sufficient hydration during the spraying process so they are ready to germinate as soon as they reach the plant. Relative humidity does not need to be regularly monitored because it is not a limiting factor. What is important is the humidity on the bottom surface of the leaf, where most of the target pests are located. Studies have shown that relative humidity remains high on the bottom surface of the leaf within a 2mm layer, even in dry conditions. Indeed Beauveria bassiana has been shown to be effective even in desert-like conditions. Naturalis-L acts by contact, it is extremely important to achieve good coverage of all leaf surfaces. In order to achieve the best results, apply during early morning or late afternoon. Naturalis-L does not have any knock-down effect, control can be expected 3-5 days after treatment. Naturalis-L is most effective when used early, before high insect populations develop. 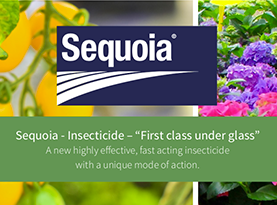 Reapply as necessary under an integrated pest management programme that includes pest monitoring and ideally also the use of beneficial insects. Very high pest populations may require the combined use of Naturalis-L with compatible insecticides. 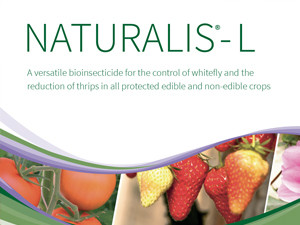 Naturalis-L is physically and biologically compatible with a range of insecticides and spray adjuvants. Check the technical notes for details (available on the Fargro website). Should I apply at the maximum rate of use? The maximum rate of use for Naturalis-L is 3l/ha. However, trials by the manufacturer and common usage elsewhere in Europe has shown that in the majority of cases it is not necessary to use the maximum rate. In almost all cases an application rate of 1.5l/ha is sufficient to gain control of pests and ensure a positive outcome. Ensure that spraying equipment is clean and free of residues particularly of fungicides which may be harmful. Before measuring the product gently rotate the bottle to ensure that spores are evenly distributed within the concentrate. Initially make a solution in half the final volume of water. Once the product is completely dispersed make up to the final volume of water. Maintain continuous agitation of the spray tank to prevent spore sedimentation. It may be beneficial to activate the spores in the formulation prior to spray application. To do this measure out the required quantity of Naturalis-L , mix this with a small quantity of water in a bucket (typically 300ml in 10 litres) and leave for 2-3 hours prior to spraying. Spores that have been in water for too long may become very soft and liable to damage in the sprayer. Therefore ensure that spray solutions have been used within a maximum of 5 hours after mixing with water. After application rinse the sprayer several times with water and leave to air dry before returning to store. Why should I use an adjuvant? Because of Naturalis-L’s oil based formulation additional adjuvants are not required. 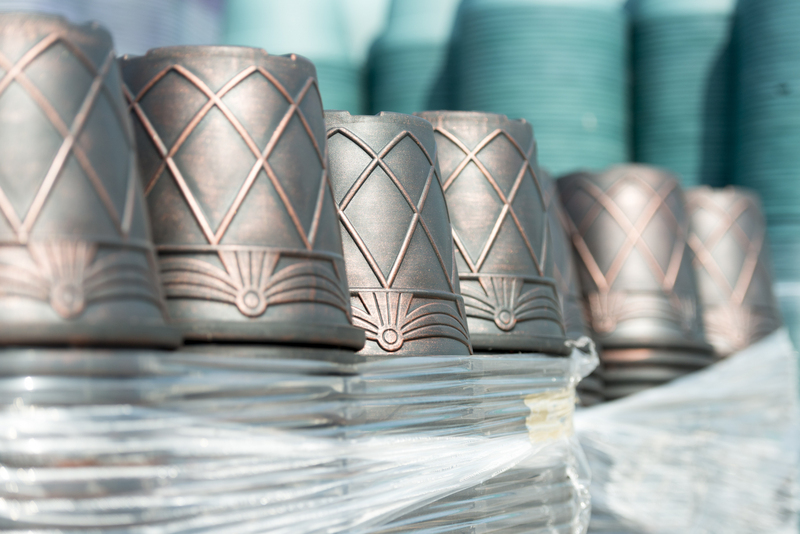 Is Naturalis-L compatible with other plant protection products? It is recommended that you do not attempt to tank mix Naturalis-L with any other product. Most acaricides and insecticides will be compatible with Naturalis-L once applied on the plant. There is an extensive list of compatible and incompatible fungicides listed in the technical notes on the Fargro website. Trials with low volume air-assisted sprayers have been successful. The efficiency of the spraying equipment in achieving good crop coverage at reduced water volumes (ie. 300 l/ha) is critical to control. If in doubt, always use high water volumes (over 1000 l/ha). Beyond trials, many growers have had great practical success applying Naturalis-L through ULV equipment such as that available in the Dyna-Fog range. Madestein UK Ltd. use the Dyna-Fog Nightstar to great effect allowing a highly automated application at precisely the right time to get the most from the product. To find out more on how to apply via ULV equipment and the Dyna-Fog range contact Fargro.